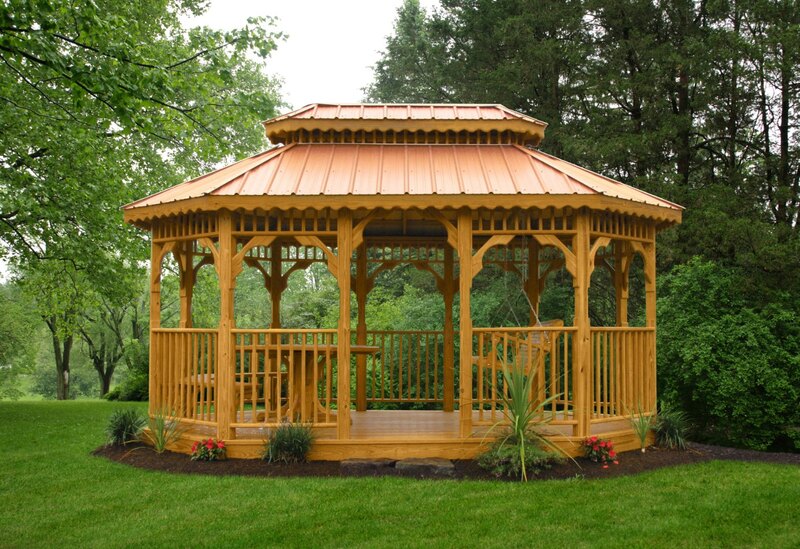 Kauffman's wood gazebos are built of #1 grade or better southern yellow pine. Although the wood is already pressure treated for longevity, we encourage you to add our Sherwin-Williams Super Deck Sealer to extend the life of your gazebo and enhance its appearance. Our vinyl gazebos are built using vinyl-clad pressure-treated lumber, with composite decking for flooring and vinyl soffit ceilings. While wood offers its own natural beauty, the vinyl gazebo is essentially maintenance-free and incredibly durable.